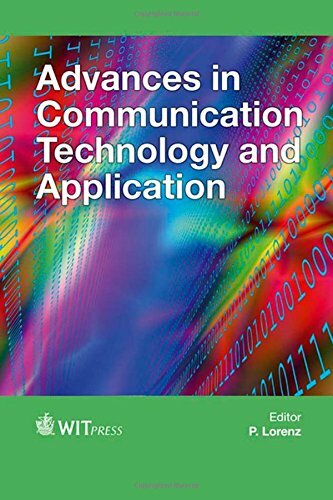 9781845649302 | Wit Pr/Computational Mechanics, October 23, 2014, cover price $670.00 | About this edition: Comprising contributions from international researchers and practitioners, this book contains the proceedings of the 2014 International Conference on Communication Technology and Application, held in Beijing, China. 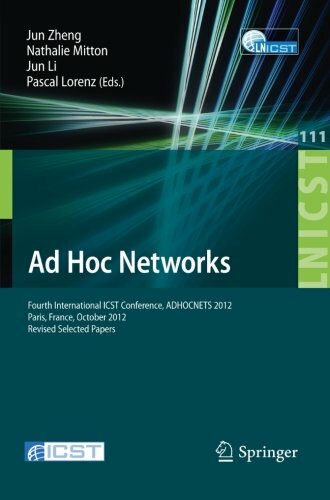 9783642369575 | Springer-Verlag New York Inc, May 15, 2013, cover price $89.99 | About this edition: This book constitutes the thoroughly refereed proceedings of the fourth International Conference on Ad Hoc Networks, ADHOCNETS 2012, held in Paris, France, in October 2012. 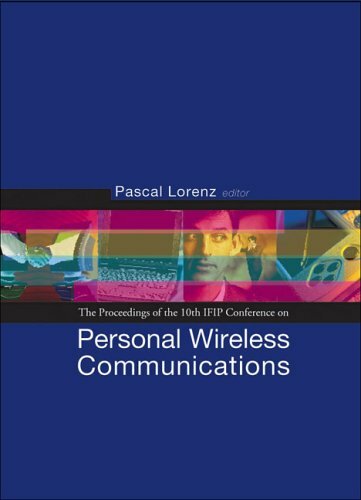 9781860945823 | Imperial College Pr, July 1, 2005, cover price $286.00 | About this edition: The 10th IFIP International Conference on Personal Wireless Communications covers a wide spectrum: wireless sensors, signalization, traffic and QoA in wireless networks, Ad-Hoc, IEEE 802. 9783540253396 | Springer-Verlag New York Inc, June 1, 2005, cover price $179.00 | About this edition: The International Conference on Networking (ICN 2005) was the fourth conf- ence in its series aimed at stimulating technical exchange in the emerging and important ? 9783540253389 | Springer Verlag, June 1, 2005, cover price $189.00 | About this edition: The International Conference on Networking (ICN 2005) was the fourth conf- ence in its series aimed at stimulating technical exchange in the emerging and important ? 9783540235514 | Springer-Verlag New York Inc, December 16, 2004, cover price $139.00 | About this edition: On behalf of the Organizing and Program Committees of the 3rd European Conference on Universal Multiservice Networks (ECUMN 2004), it is our great pleasure to introduce the proceedings of ECUMN 2004, which was held during October 25â27, 2004, in Porto, Portugal. 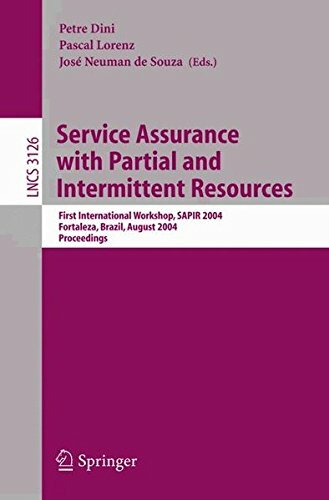 9783540225676 | Springer-Verlag New York Inc, September 30, 2004, cover price $99.00 | About this edition: The 1st Workshop on Service Assurance with Partial and Intermittent Resources (SAPIR 2004) was the first event in a series introducing the concept of pi-resources and bridging it with the emerging and important field of distributed and heavily shared resources. 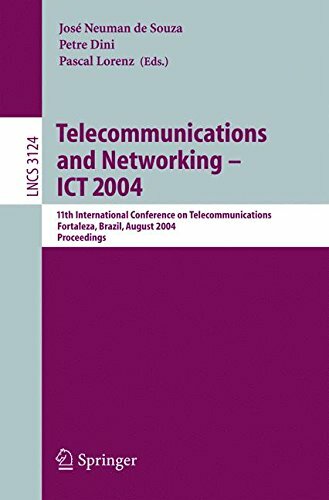 9783540225713 | Springer-Verlag New York Inc, August 26, 2004, cover price $99.00 | About this edition: Welcometothe11thInternationalConferenceonTelecommunications(ICT2004)ho- ed by the city of Fortaleza (Brazil). 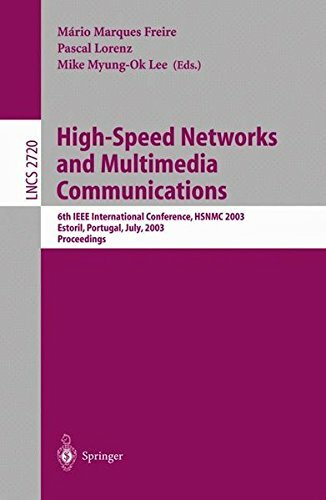 9783540405429 | Springer-Verlag New York Inc, August 1, 2003, cover price $159.00 | About this edition: The refereed proceedings of the 6th IEEE International Conference on High Speed Networking and Multimedia Communication, HSNMC 2003, held in Estoril, Portugal in July 2003. 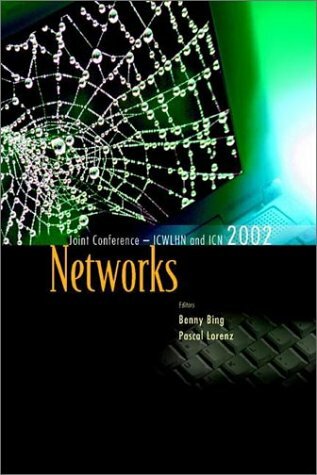 9789812381279 | World Scientific Pub Co Inc, August 1, 2002, cover price $259.00 | About this edition: This volume contains the proceedings of the joint conference, ICWLHN 2002 and ICN 2002, and covers a wide variety of technical sessions on all aspects of networking technology. 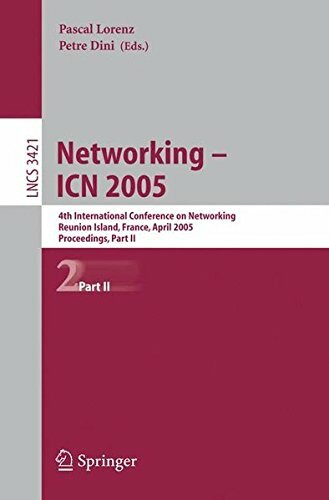 9783540423034 | Springer-Verlag New York Inc, August 1, 2001, cover price $159.00 | About this edition: The International Conference on Networking (ICN01) is the first conference in its series aimed at stimulating technical exchange in the emerging and important field of networking.